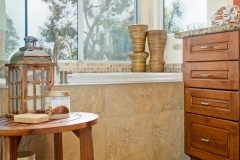 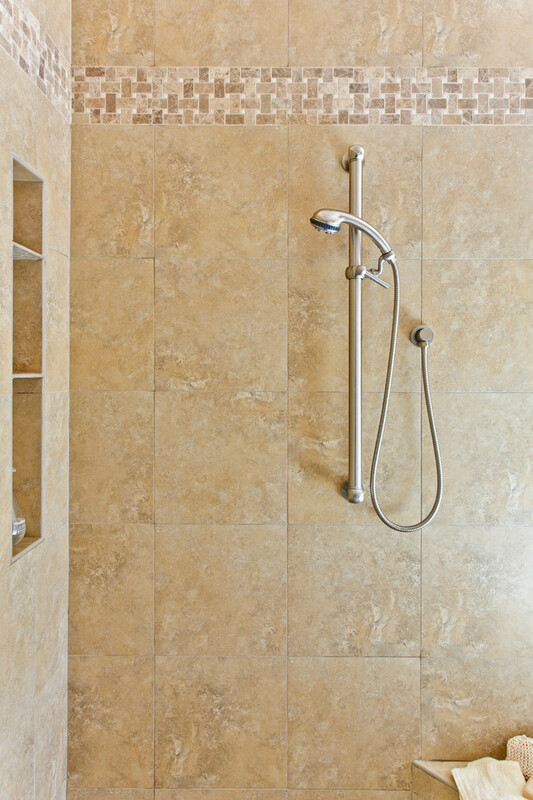 Our client wanted a bathroom that combined rustic and refined with traditional and modern artifacts throughout. 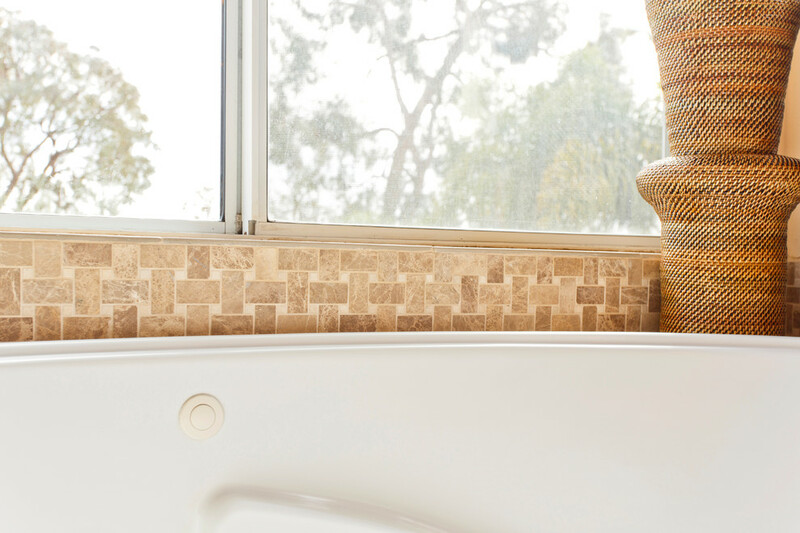 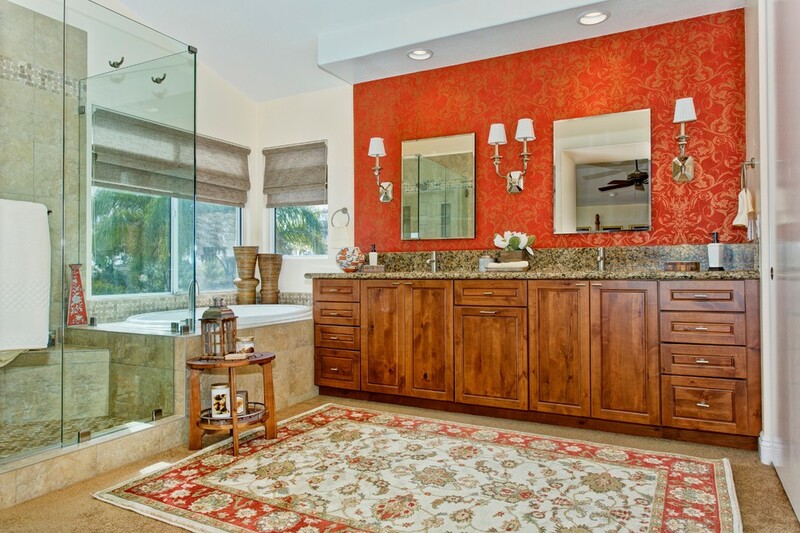 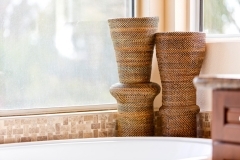 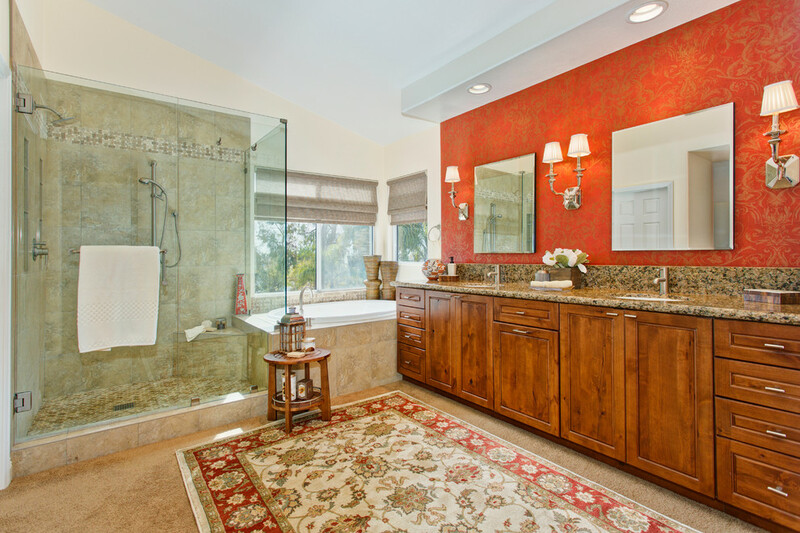 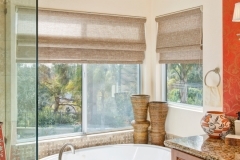 The traditional bathroom remodel adds classic and elegant features to this beautiful bathroom makeover. 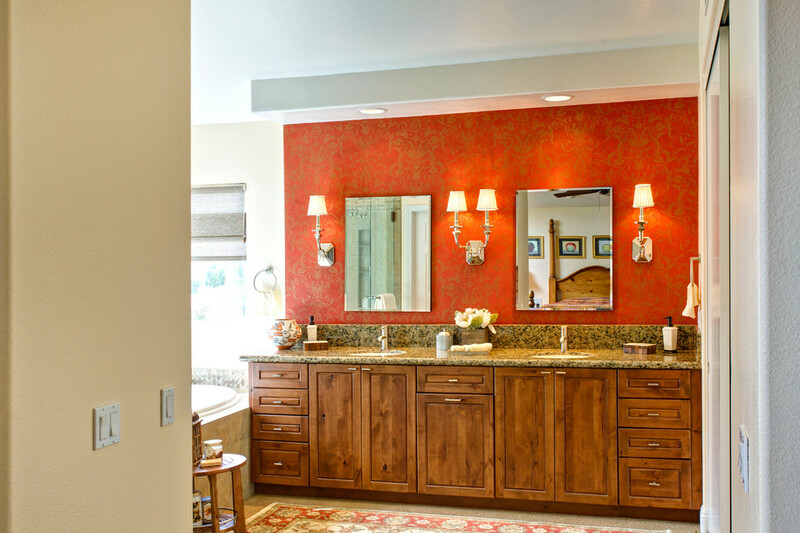 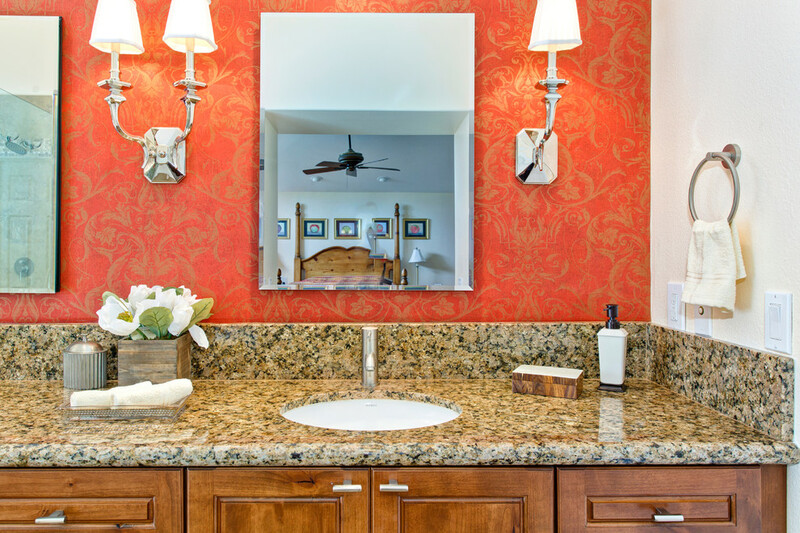 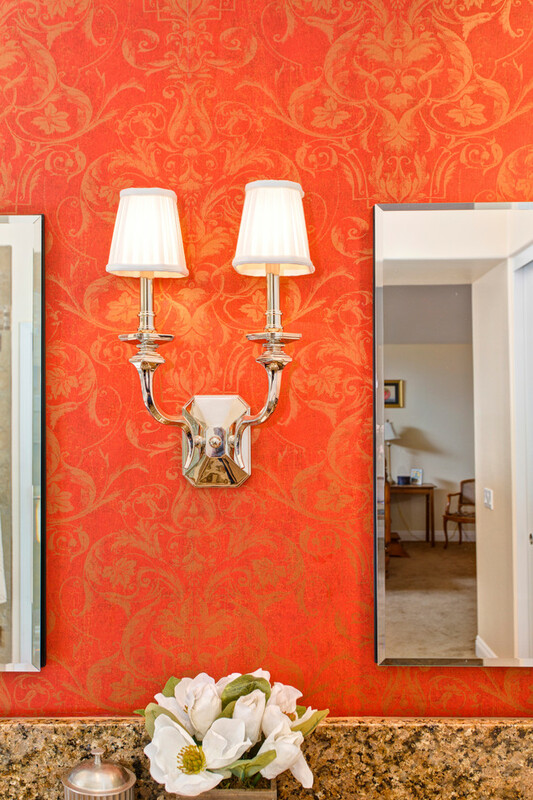 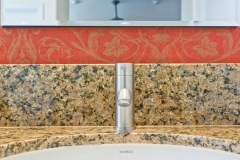 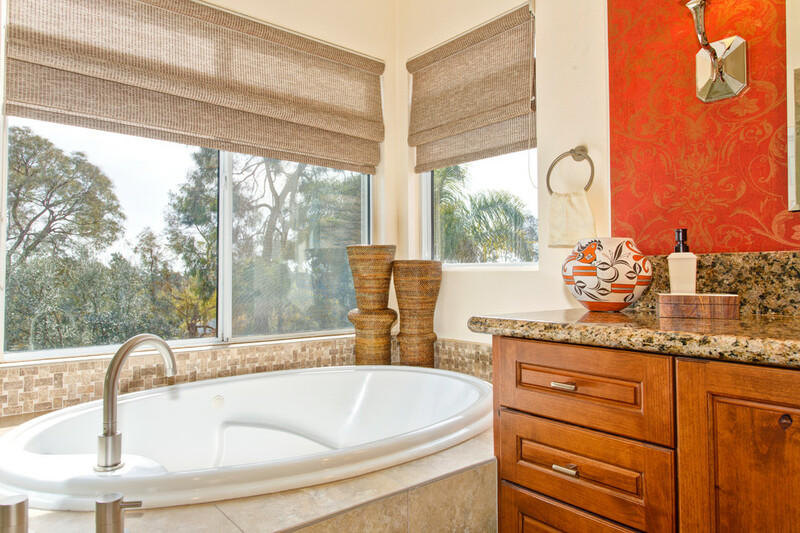 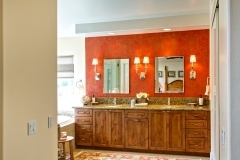 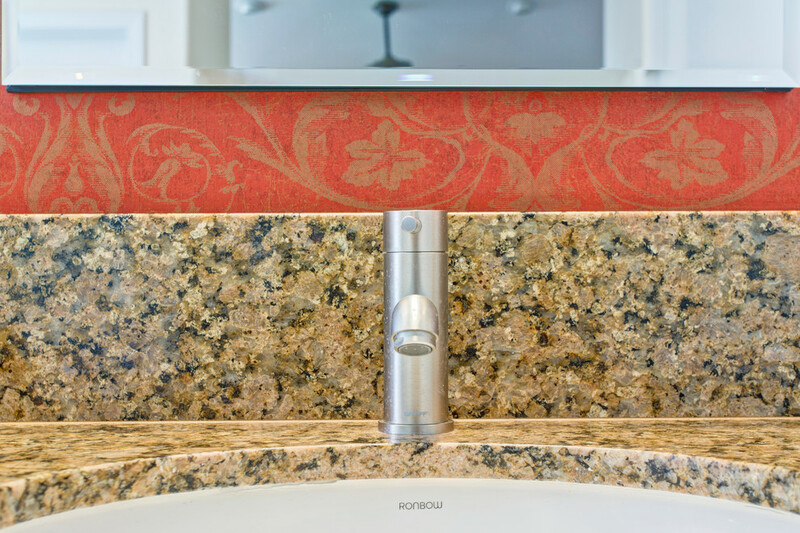 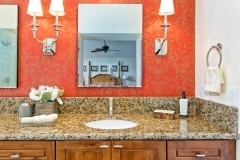 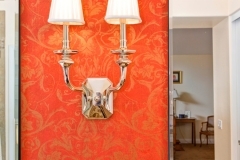 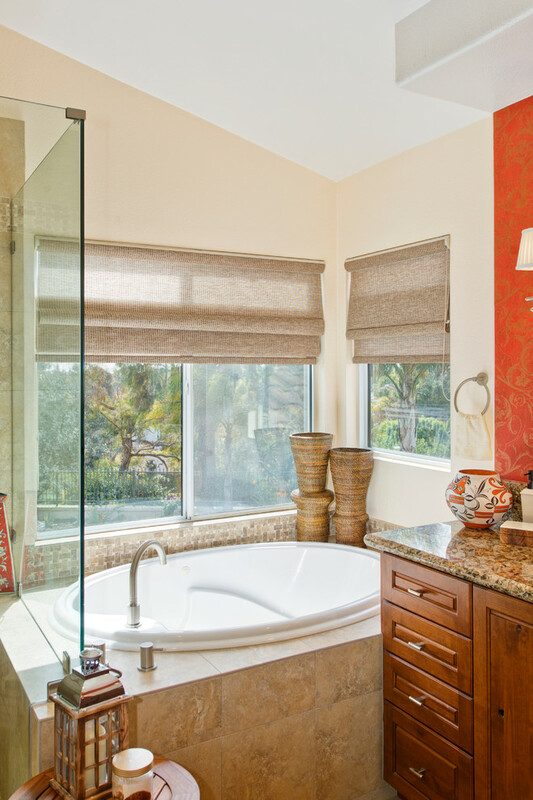 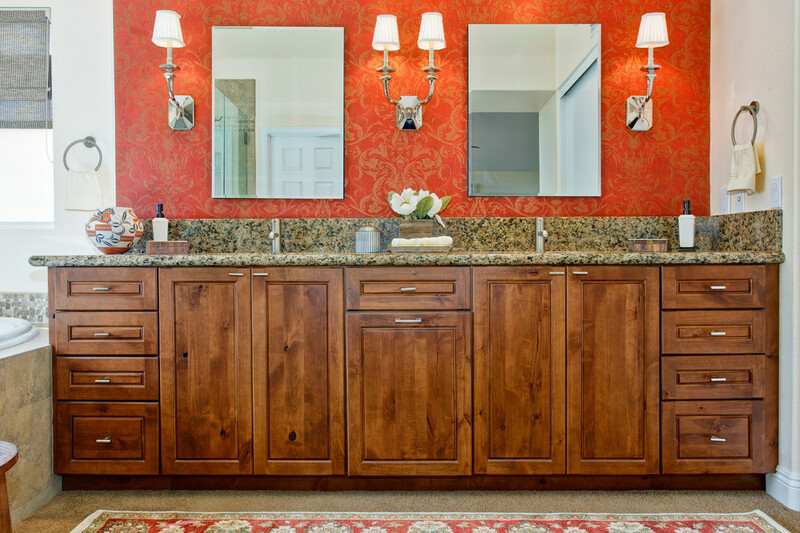 The walls are enhanced with a wall covering making the vanity wall the main focal point of this master bathroom. 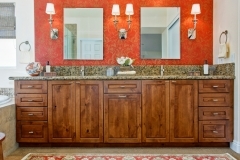 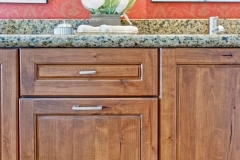 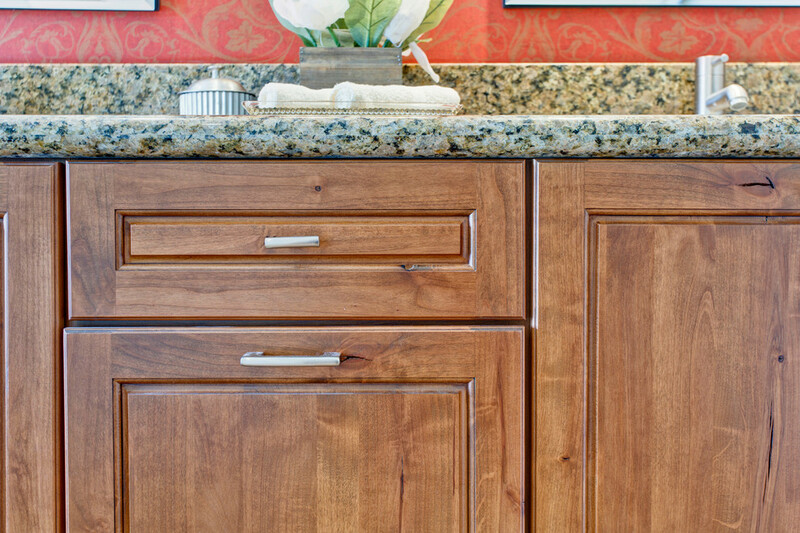 The vanity cabinets are Dura Supreme knotty alder with a glaze that enhances all the details in the wood. Creative tile patterns in this master bathroom can be seen- we used a basket weave pattern on the tub splash and shower floor, breaking up the tiles lines which keeps the neutral tone tiles more interesting.